Do you remember being relegated to the “kids’ table” during a large family gathering and wishing you could sit at the “grown-up” table? Sometimes even as adults, we still long to sit at those “tables” that seem out of reach — the “wealthy” table, the “thin” table, the “perfect marriage” table, or the “impressive career” table. 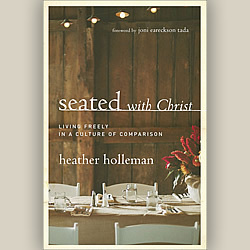 In her new book, Seated with Christ — Living Freely in a Culture of Comparison, Heather Holleman admits that for most of her life, she was shackled by self-absorption, comparing herself to others in her pursuit of perfection. Then, God opened her eyes to Ephesians 2:6, which reveals that we are already “seated with Christ.” She says, “It was as if God said to me, ‘You can stop fighting so hard. 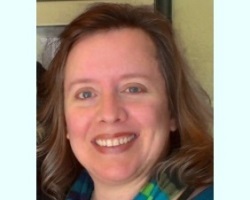 You already have a seat at the table … now start living like a seated person.’” Heather shares her liberating journey to “seated living” and lights a pathway for each of us to leap free from unhealthy cycles and live as calm, connected and securely seated people.